About us: All you need to know about our online Gili Islands travel guide! 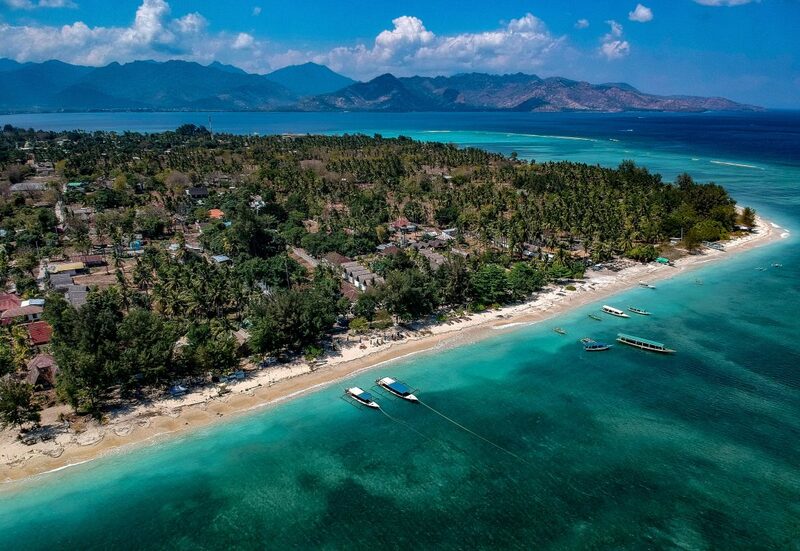 We are your local online travel guide providing you with insider tips on the beautiful turquoise waters and white sandy beaches of the Gili Islands; Gili Trawangan, Gili Meno and Gili Air. Discover how to get to these whimsical paradisical Islands, which islands to visit, the best things to do, top restaurants, bars and places to stay. The Gilis are three small islands near the northwest coast of Lombok in Indonesia. The names of the islands are; Gili Trawangan, Gili Meno, and Gili Air. The Gili islands, known as the ‘Turtle Capital of the World,’ has amazing dive and snorkeling sites to see rare underwater sea animals! Want to see what else you can do on the Gilis? Click here. There are no motorized vehicles here and that’s what makes our air so fresh. Our local spoken language is ‘Sasak’, which is a dialect of Indonesian. We also speak the national language of Indonesia for when different Indonesian travellers from all over visit our beautiful islands. Each Gili island has its own personality and we like to say it has a little something for everyone. Gili Trawangan is the largest and busiest island out of the three. It has the most tourists, events and is famous for its party scene. There’s also a quiet side to the island but as a whole, Gili Trawangan is a fun playground! So if you enjoy the hustle, bustle, and want to meet other travellers and make new friends, this is the place to be! Gili Meno is known as the honeymoon island. It’s quieter and couples like to spend their vacation and honeymoon here. Vacationers like to escape here and get away from the usual hustle and bustle. It’s also a great place for families travelling with children. With the lack of motorized vehicles and fewer tourists, your young ones can roam around freely and safely. Lastly, Gili Air, the island closest to Lombok, is a mixture of both these worlds. It has events like live music and a chiller vibe! Gili Air offers a lot of variety for all type of travelers and expats. There’s live music events, fire and circus shows, music festivals, yoga, horseback riding, karaoke nights, beer pong competitions, movie screenings and lots more! Wondering where to eat or where to stay on the island? Check out our favorite places on our ‘Gili Foodie‘ and ‘‘Gili Getaways’ page. Want to stay updated with the day-to-day life in the Gili islands? Follow us on our official Facebook page and keep up to date with our daily news, tips, FAQs and island and mermaid pictures of people travelling to these beautiful islands! Are you planning to visit, already visited or living on these beautiful islands? Send us a message, we would love to hear from you! Share your opinions, experiences, mermaid (..or merman) island and underwater pictures for a chance to be featured on our official Facebook or Instagram page!